During New York’s Fashion Week we can look forward to the forecast of Pantone, Inc. We can admire and look out for what colors may be the hot trends for the season they announce. It is not a surprise, this Fall awaited the same forecast with anticipation. I am getting ready to physically get in the mood for cooler weather. I reside on the coast of Eastern North Carolina however, I find myself traveling often to the mountain regions of North Carolina. So, although on average I experience mild weather, I can easily go from one extreme to the next within the same state. I may still have the connections of the past season’s trend colors, so I need to know what color trends are announced that will let me translate with confidence from one season to another. 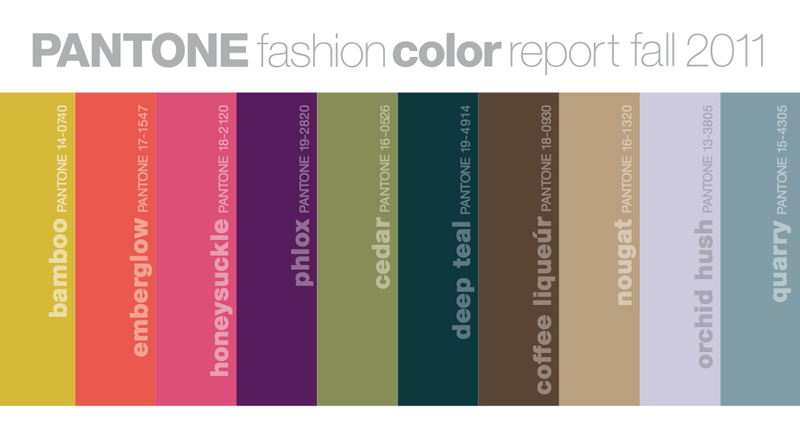 Pantone’s released the Fall 2011 colors to communicate to us that COLOR will remain with us as we move from the short sleeves to the knit sweaters. This is GREAT news to people like me who love color, and strive to include it in their life. The color trend report is usually associated with women’s fashion but, fashions for men, home decor items, wedding schemes, fabrics and paints also take notice of the report. Attracted To The 2011 Color Trends? What is your “It” Color For Fall? Pantone calls the fall colors “The Art of Color — Sensible and Spirited.” You may want to download the full report from Pantone. Knowing that you can mix and match and focus on any of the color combinations gives you many options and directions to explore. If one featured color is not your taste, maybe your eye is drawn to another on the list? Take mental notes from reading this and see for yourself how these colors will be introduced to your world and the world around you. 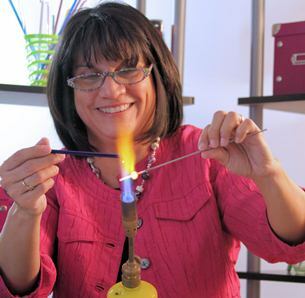 If you desire a custom piece of jewelry or home decor item that has a focus on the use of any of these color themes, includes my hand-made, hand-rolled beads just ask what I may do for you to help create a one-of-a-kind item just for you in the trend colors that are valued this Fall season. I will be excited to inject this palate into the fall items that I create. It is useful to have this as a guide when I hand-mix my clay colors. Taking note of the fabrics and color trends I see in the stores and around me are important factors to use in design. It gives me a direction to aim and inspiration to mesh with fashion week’s designs. Let me know if you need something special to coordinate and highlight your unique style and look of the season.